Raaga.com: THANK YOU SUSHEELA AMMA! The recipient of 5 National Awards, multiple State awards, this singer has mesmerized a wide range of audience with her capabilities of singing in multivarious languages and in voices very different from every rendition. Such is the talent she has. To talk about P.Susheela’s best numbers, ‘Ye thendrale’ from Nejathai kilathe is a beautiful number for which Gangai Amaran penned down the lyrics. The song ‘Darling Darling’ caught a lot of attention, thanks to the catchy tune and the simple lyrics from the movie Priya. Although one can say the movie did not become a huge hit, the song did. Another lovely listen of Susheela would be ‘Poonthenil’ written by the wonderful poet Kannadasan appears in the movie Ennipadigal. 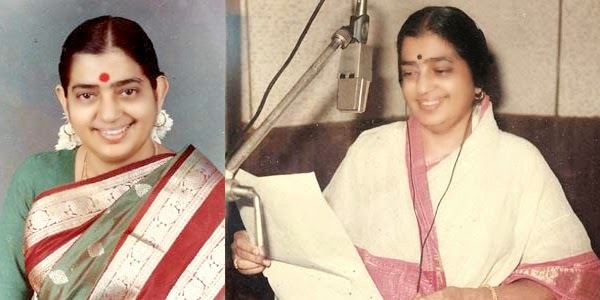 It is amazing to note that Susheela, one of the most versatile singers, never used a lot of time of the Music Directors. Known for her sharp picking up capacities, she has always proved her skills with the range of songs she selects. A no miss in this list would ofcourse include Azhagazhaga from the movie Kaali. The song caught the eyes of many for its catchy visual appeal too and with Illayaraja setting the tune, this song definitely can be called a hit. If you have watched the movie Kaathal Kiligal, it is impossible to have missed the song ‘ Karumbil’ as in this song Susheela shows her expertise in music on a whole new level. This Padma Bhushan Award winner is such an asset to the Indian Film industry. Even recently, Susheela was chosen by the panel for a Lifetime Achievement Award – such is ofcourse the contribution by this genius.